ADT moving will be at “Le Salon national de l’habitation” from march 8 to March 17. Hope to see you ! 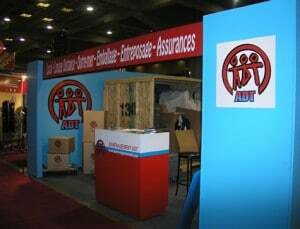 ADT MOVING AND STORAGE WOULD LIKE TO INVITE EVERYONE TO COME AND SEE US AT THE SALON NATIONAL DE L’HABITATION AT PLACE BONAVENTURE FROM MARCH 8 TO MARCH 17 TH 2013. OUR STAFF WILL BE THERE TO GREET YOU AND ANSWER ALL YOUR QUESTIONS. WE WILL ALSO BE GIVING AWAY A FREE MOVE TO ONE LUCKY GUEST.